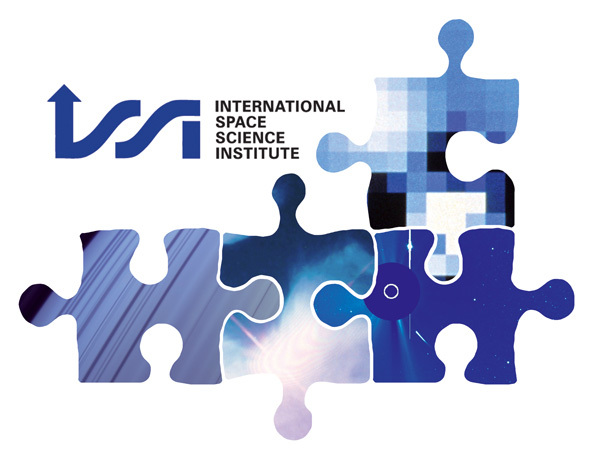 The International Space Science Institute (ISSI) in Bern, Switzerland, and ISSI-BJ in Beijing, China invite proposals for establishing International Teams to conduct on its premises research activities in Space Sciences, based on the interdisciplinary analysis and evaluation of data from spacecraft and possible integration with ground data and theoretical models. Teams are one of the tools shared by ISSI and ISSI-BJ through which relatively small groups of scientists involved in Space Research can work together in an efficient and flexible format of several subsequent meetings. Observations and model reconstructions that describe solar forcing (by radiation and energetic particles) to investigate solar influence on climate are highly fragmented. This has so far hampered a better representation of solar forcing in climate model simulations. Stimulated by this problem, the multidisciplinary ISSI team on "Scenarios of Future Solar Activity for Climate Modelling” (led by T. Dudok de Wit) has produced a comprehensive solar forcing data set including the main solar climate drivers. This public dataset runs from 1850 till today but also includes scenarios up to 2300. These data are presently being used by climate modellers in preparation of the next IPCC assessment report. The ISSI team working on "Towards Dynamic Solar Atmospheric Magneto-Seismology" (led by G. Verth and R. Morton) brought together theoreticians and observers to examine how to improve current seismological tools for probing the Sun's atmosphere. The first meeting, held in March 2016, created lively discussions about how best to utilise new insights from recent instrumentation and prepare for upcoming and future solar missions, e.g. DKIST, and Coronal Solar Magnetism Observatory. New collaborative ventures were also started between team members. The team's activities in the intervening time have led to a number of publications in Astrophysical Journal and Astronomy & Astrophysics. 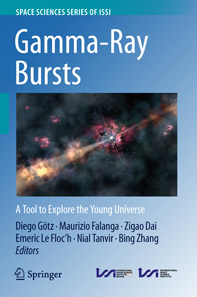 This volume reviews a comprehensive set of problems raised by the use of Gamma Ray Bursts (GRBs) as cosmological probes, as they were addressed and debated during the ISSI-Beijing workshop “Gamma-Ray Bursts: A Tool to Explore the Young Universe," which took place from April 13 to 17, 2015, in Beijing. The authors represent both the GRB community stricto sensu and the community studying high-redshift galaxies and star formation history. 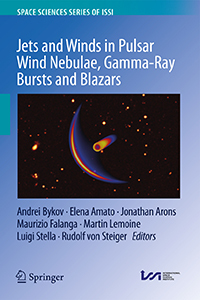 The chapters of the book elucidate the connection between GRBs and the deep universe, stimulating thoughts on how to develop worldwide synergies between high-redshift GRB studies and surveys of the deep universe. Relativistic objects in astrophysics present a diverse set of phenomena and cover vast ranges of time scales and spatial scales, but their descriptions rely on a similar backbone: production of a relativistic outflow in a central compact object and dissipation of the outflow at large radii, accompanied by acceleration of particles up to very high energies and production of secondary non-thermal electromagnetic radiation. This book provides a timely and comprehensive review of the main physical processes involved in the formation and dissipation of relativistic outflows. It will be particularly useful to postgraduate students and researchers active in various areas of astrophysics and space science​. 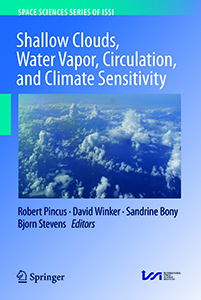 This volume presents a series of overview articles arising from a workshop exploring the links among shallow clouds, water vapor, circulation, and climate sensitivity. It provides a state-of-the art synthesis of understanding about the coupling of clouds and water vapor to the large-scale circulation. The emphasis is on two phenomena, namely the self-aggregation of deep convection and interactions between low clouds and the large-scale environment, with direct links to the sensitivity of climate to radiative perturbations. Each subject is approached using simulations, observations, and synthesizing theory; particular attention is paid to opportunities offered by new remote-sensing technologies, some still prospective. The collection provides a thorough grounding in topics representing one of the World Climate Research Program’s Grand Challenges. Over the past decades, rapid developments in digital and sensing technologies, such as the Cloud, Web and Internet of Things, have dramatically changed the way we live and work. The digital transformation is revolutionizing our ability to monitor our planet and transforming the way we access, process and exploit Earth Observation data from satellites. This book reviews these megatrends and their implications for the Earth Observation community as well as the wider data economy. 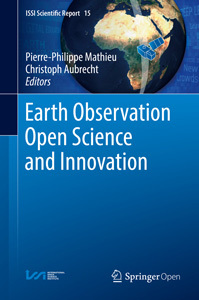 It provides insight into new paradigms of Open Science and Innovation applied to space data, which are characterized by openness, access to large volume of complex data, wide availability of new community tools, new techniques for big data analytics such as Artificial Intelligence, unprecedented level of computing power, and new types of collaboration among researchers, innovators, entrepreneurs and citizen scientists. In addition, this book aims to provide readers with some reflections on the future of Earth Observation, highlighting through a series of use cases not just the new opportunities created by the New Space revolution, but also the new challenges that must be addressed in order to make the most of the large volume of complex and diverse data delivered by the new generation of satellites. Satellite remote sensing, in particular by radar altimetry, is a crucial technique for observations of the ocean surface and of many aspects of land surfaces, and of paramount importance for climate and environmental studies. 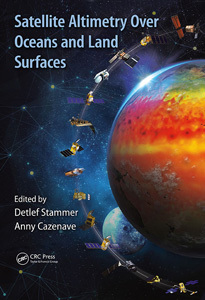 This book provides a state-of-the-art overview of the satellite altimetry techniques and related missions, and reviews the most-up-to date applications to ocean dynamics and sea level. It also discusses related space-based observations of the ocean surface and of the marine geoid, as well as applications of satellite altimetry to the cryosphere and land surface waters; operational oceanography and its applications to navigation, fishing and defense. Copyright © 2018 International Space Science Institute ISSI, All rights reserved. You are receiving this email because you opted in at our website, or attended an ISSI team, workshop or other ISSI event.